It&apos;s a printing revolution from Epson--no changing cartridges for 2 years! Find out why we love eco tank. 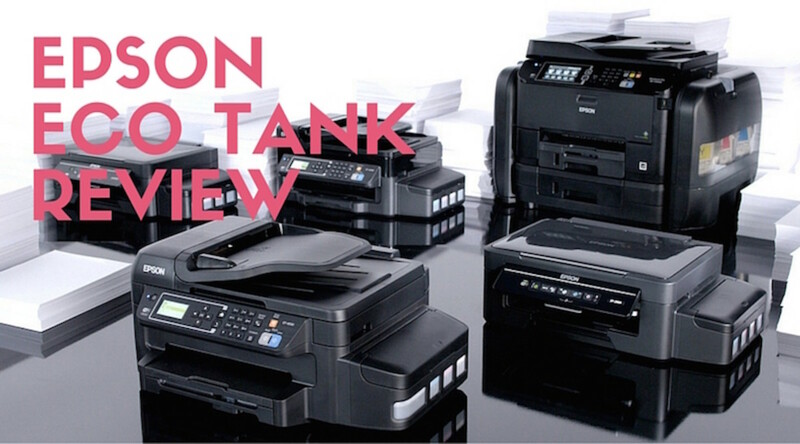 Epson unveiled a line of new all-in-one color printers featuring large ink reservoirs – what Epson defines as the "Supertank." for the past month and have loved the quality. I&apos;ve also made a huge behavior shift--I now print in color ALL THE TIME. It makes my work projects and family projects look more fun and engaging. 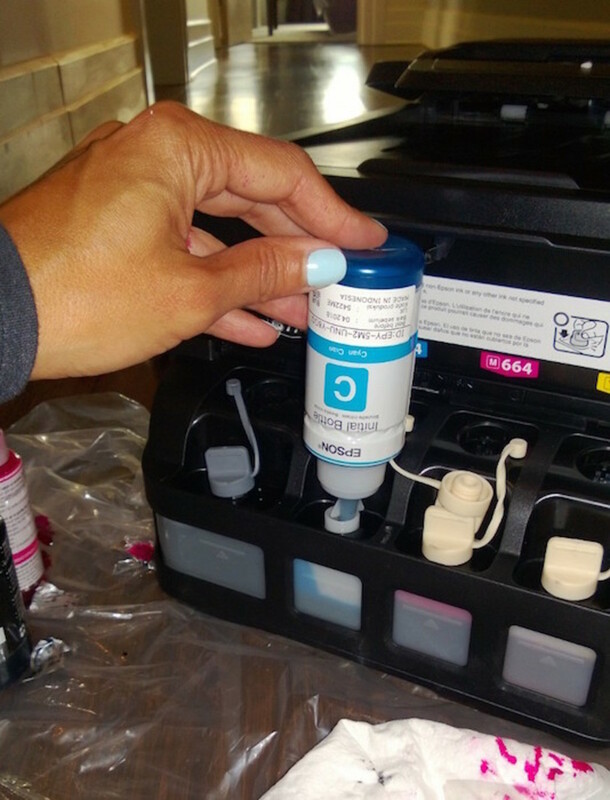 Tip 1: Give yourself about an hour from start to finish to set up the printer. Tip 2: Definitely use the plastic tarp and gloves when setting up and send the kids out the room. The ink is liquid and you need to handle with care. Tip 3: The initialization took about 40 minutes. Don&apos;t expect to plug in and go. Once you&apos;re set up it works like a dream. After the initial investment of time and money you&apos;re business or home is going reap big rewards. Here are my top three reasons to switch: Fun, Frugal, Forget-about-it. Fun: First, there&apos;s the fun of printing photos, artwork and projects in vibrant four color. I used to hoard my color--opting for greyscale. But folks, it&apos;s not a black and white world, color is what makes everything more fun! Frugal: Then there&apos;s the savings. 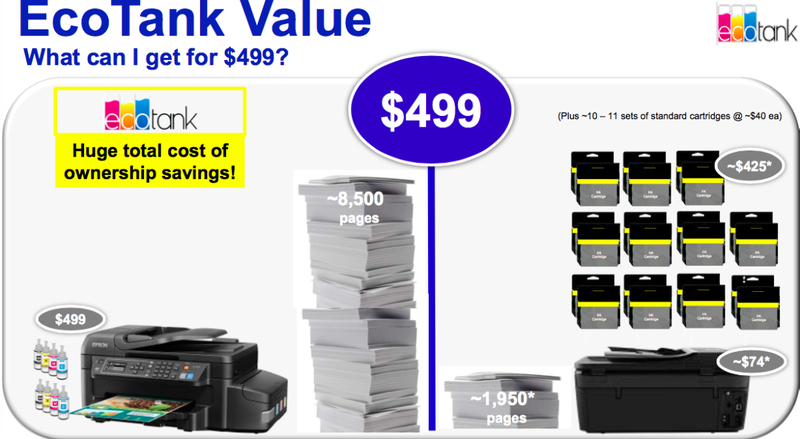 Thought the initial unit costs more than other printers in the category, over time you will save big on ink. 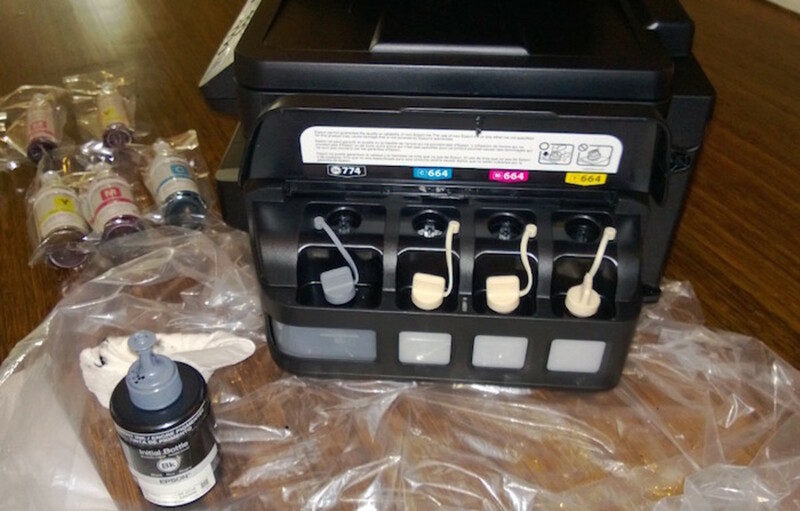 The WorkForce ET-4550 EcoTank comes with in tanks that are the equivalent to about 50 ink cartridge sets. Forget-about-it: Set it up and then-Go! It&apos;s likely you won&apos;t mess with ink for 2 years! The WorkForce ET-4550 EcoTank comes with enough ink to print up to 11,000 black or 8500 color pages. This is not a sponsored post. I was sent a model for review purposes.